Today we are talking to Louise Crumplin, our much-loved wedding cake maker who has provided amazing cakes, biscuits and cupcakes for many of our lucky bridal couples. 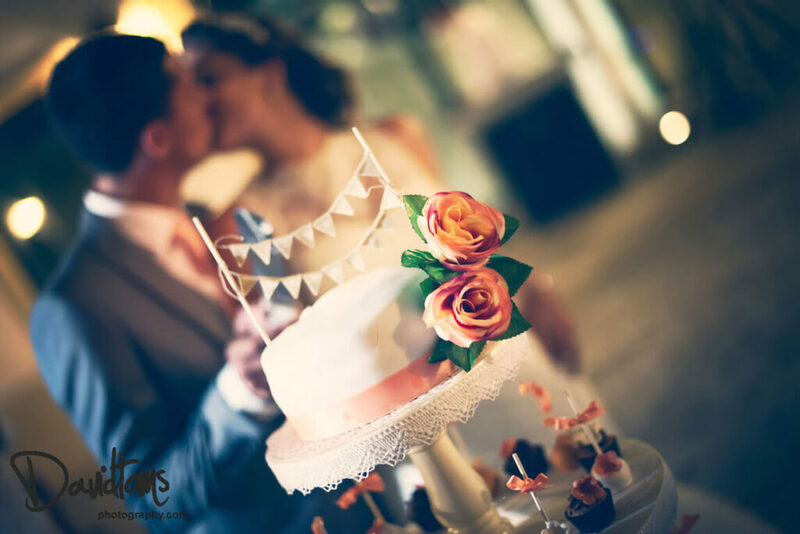 We met up with her and asked her to share her secrets about choosing the perfect cake for your wedding in Spain. Hi Louise. Your cakes are breathtaking and always get such a great reaction. When did your love of cake making start? It was all a big accident to be honest. I used to run a restaurant and we had a lady that would bake us the most wonderful cakes. When she left I was really worried and asked her to help me find a replacement, instead she insisted on training me. Then someone asked me to make a cake for their son’s birthday and I fell in love with cake making. What is it about making wedding cakes in particular that you love so much? The challenge. Every bride is totally different, so every cake that they want is unique too. Each bride emails me photos of her dream creation and in all the time I have been making cakes I have never received the same picture twice. This season alone I have 46 wedding cake orders and every single one is different. I also love working under pressure, you get one shot at getting it right. It’s a real buzz. What are the challenges of making cakes in the Spanish heat? I’ve lived in southern Spain for five years and to be honest you never get used to the intense heat when July and August hit. There is high humidity too, so when a bride insists on butter cream or cream cheese frosting for her wedding in Spain I have to explain to her that it may not work. Sometimes it’s a challenge just to get the fondant to stay put. I make all my cakes in freezing cold air conditioning and they are kept in the fridge until the last minute. What’s the most impressive cake you have been asked to make? Well the most unique and stressful cake I ever had to make was for a couple who wanted a giant bridge created out of two cakes, with a bride and groom figurine on the top and mounted on two tables with wheels, so that the tables could be pushed together before it was cut and made into one bridge. The tables had to be made to measure, the cake needed all sorts of internal structures and I had five days to do it in. On the night as the tables were pushed together and fireworks were let off I was so relieved that I’d met the brief and they were happy. What are the wedding cake trends for 2017? We are still seeing a lot of metallic and pearlised finishes. Naked cakes are still very popular for simple boho weddings in Spain plus, and this surprised me, cupcake towers. In fact half of the orders I have received for weddings this year have been cupcakes. Probably because getting married in Spain is very much about the party, so it’s really fun and easy for a small token cake to be cut and everyone gets a cupcake and can get on with the dancing. 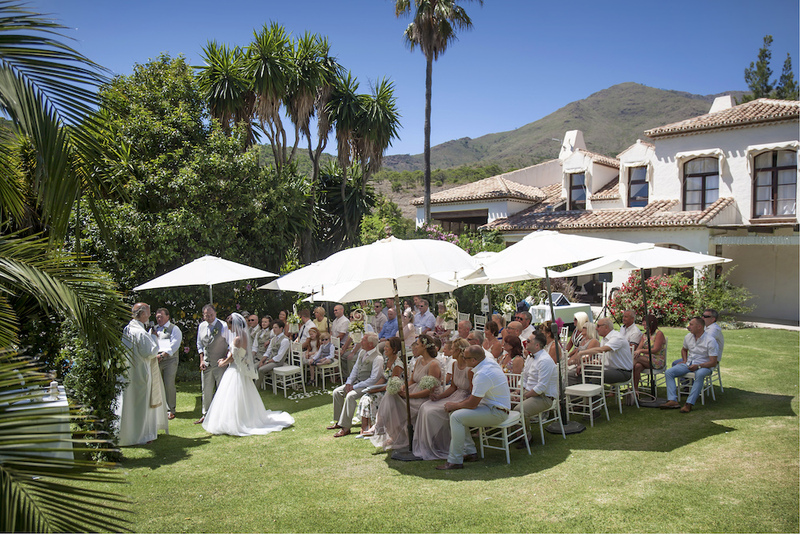 Thank you Louise for your great insights into the world of wedding cake making on the Costa del Sol. Join us in Part Two when we find out what happened when Louise left her husband in charge of delivering a cake and what her dream job would be if she wasn’t so in love with cake making!